With BI360's web portal, all of your reporting and budgeting end users get access to dashboards. BI360 dashboards unify your most important assets - your people and your data. These convenient, web-based dashboards help you visualize trends, identify issues, and ultimately drive success, whether you deploy on-premises or in the Cloud. 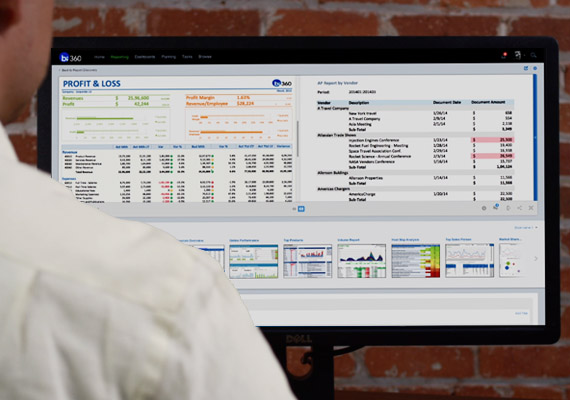 BI360 provides real-time dashboards to many pre-integrated, ERP systems as well as to the BI360 Data Warehouse. Dashboards can be highly summarized and KPI-based for executives, but they can also be detailed operational dashboards for line managers and end users across the organization. 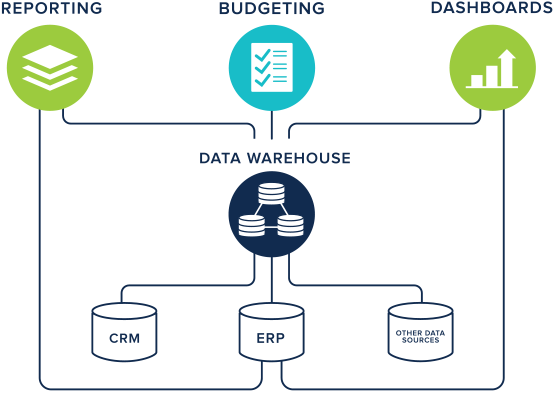 Data feeds can come from your ERP system as well as from any other data source you feed to the BI360 Data Warehouse. BI360 dashboards are housed in the same BI360 web portal that offers powerful collaboration functionality, allowing your team to access, discuss and share new insights from dashboard analysis. Now you can make better decisions, with better information, to drive productivity across your organization. 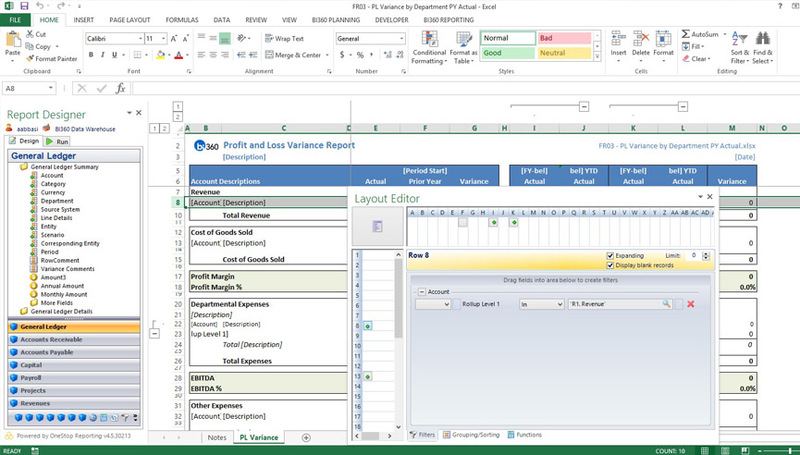 Replace multiple, older reporting, planning and dashboard solutions with the single BI360 suite for lower maintenance, lower ongoing training & support, less IT and consulting dependencies, all while sharing data visualizations as an accessible, impactful extension of data analysis for team members across the organization.